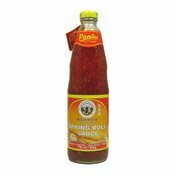 Pantai Spring Roll Sauce is the superb dipping sauce for Vietnamese and Chinese spring rolls. It is also good for grilled chicken and deep-fried seafood and all vegetables. 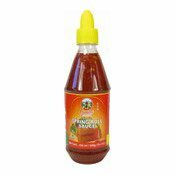 Ingredients: Sugar, Water, Red Chilli (14%), Turnip, Carrot, Salt, Garlic, Thickener (Modified Corn Starch (E1422)), Stabiliser (Xanthan Gum (E415)), Acidity Regulator (Acetic Acid (E260)). 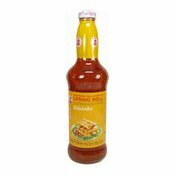 Simply enter your details below and we will send you an e-mail when “Spring Roll Sauce (Large) (春卷醬)” is back in stock!